You are here: Home / LifeTopix / Common Questions / Q. How do I enable the Modern Dashboard? 1. If you’re an existing LifeTopix user you can get to the “Dashboard” preference by navigating to the “Preferences” view. 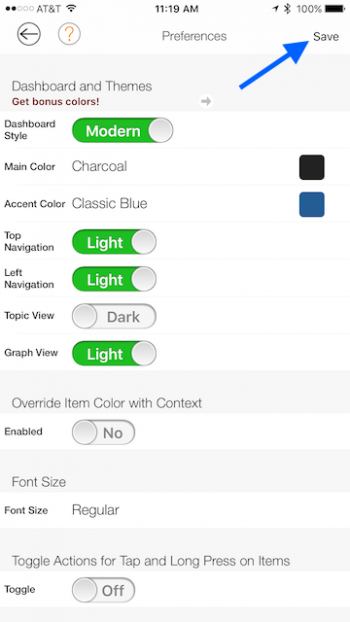 First, tap the settings button on the left hand toolbar. 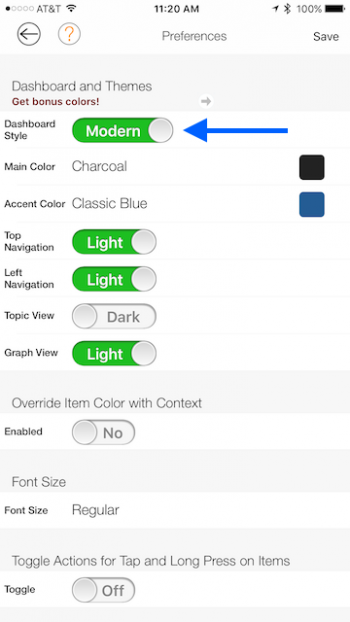 Then tap the “Preferences” row in the “Settings” view. 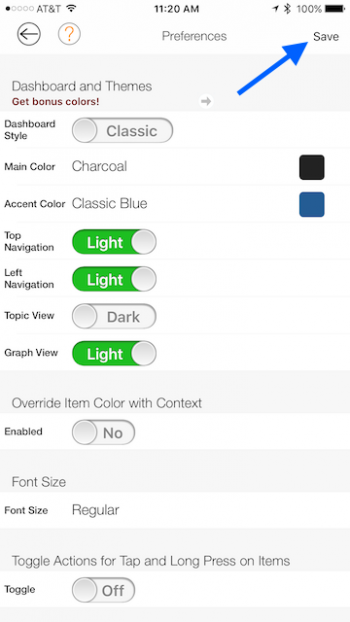 Next, in the “Preferences” view change the “Dashboard Style from “Classic” to “Modern”. Then tap the “Save” button. 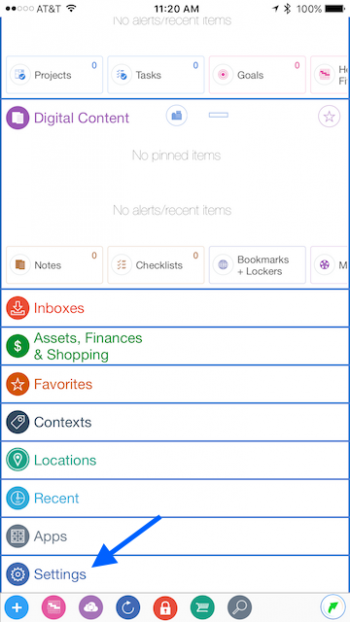 After tapping the “Save” button you’ll see the modern dashboard view. The first time you see the modern dashboard you’ll see the on boarding dashboards tips. You can dismiss the tips by tapping the ‘x’ button on the bottom toolbar. 2. 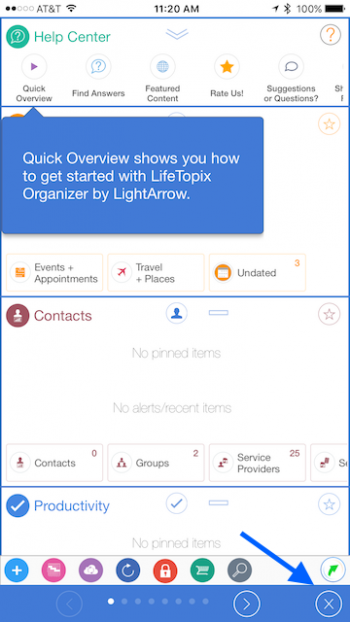 Next, this help page will show how to change back to “Classic” view for the LifeTopix app. First, scroll down until you see the “Settings” card. 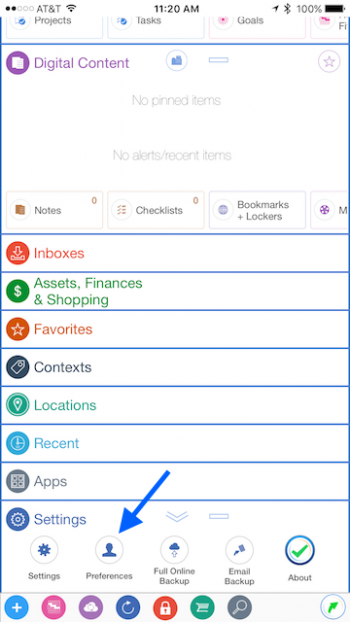 Then expand the card by tapping the “Settings” label. Then tap the “Preferences” button. 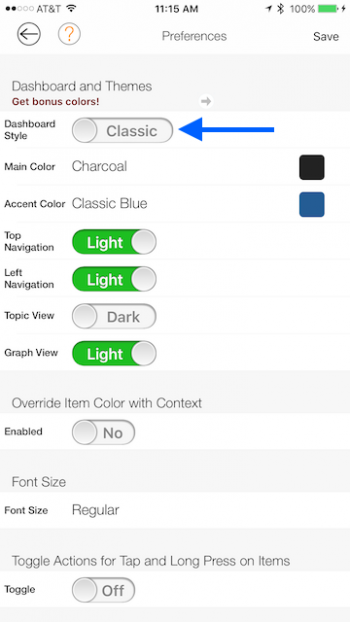 Then, in the “Preferences” view tap the “Dashboard Style” toggle button and set to “Classic”. Then tap the “Save” button. 3. 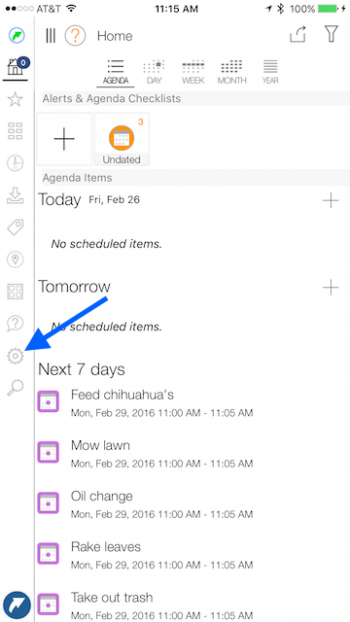 For the My.Agenda app and Pro.Calendar app you must buy the “LifeTopix” pack to get the “Dashboard Style” preference to enable the modern dashboard. 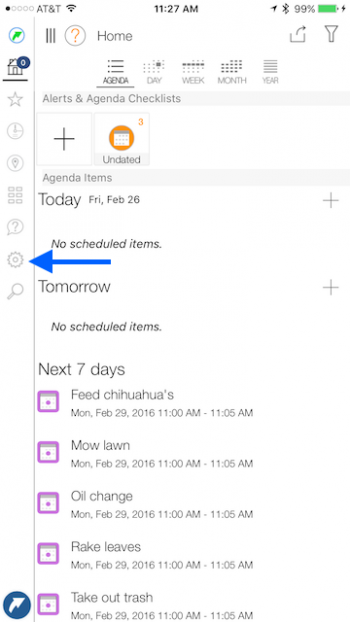 This step is using the My.Agenda app. 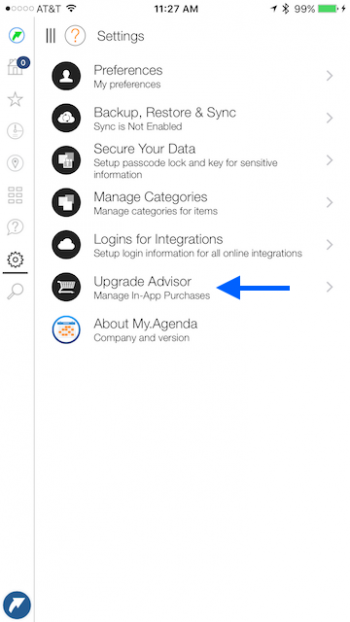 First, go to the “Settings” view and then tap the “Upgrade Advisor”. 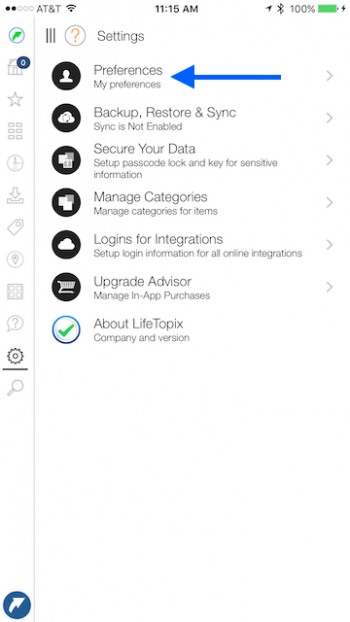 Then, in the “Upgrade Advisor” view purchase the “LifeTopix Pack”. 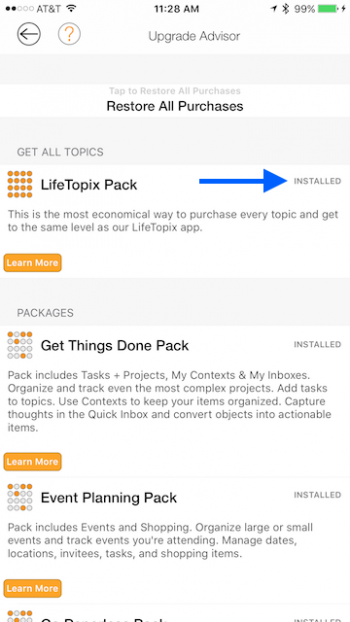 After the “LifeTopix Pack” is successfully purchased you’ll see “INSTALLED” text. 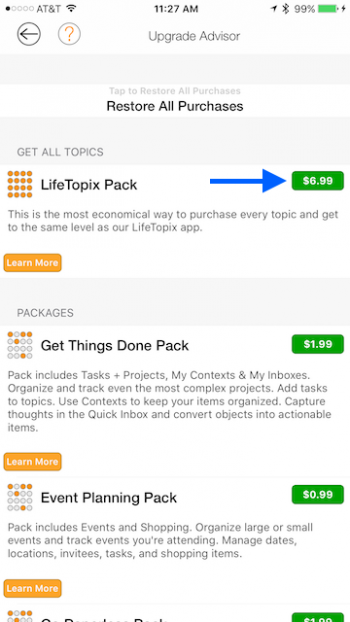 After purchasing the “LifeTopix Pack” go to the “Preferences” view and you’ll see the “Dashboard Style” preference. 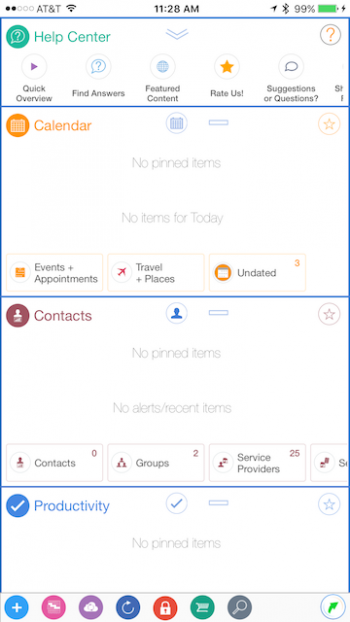 To enable the modern dashboard set the “Dashboard Style” to “Modern” and tap the “Save” button.